Born in London, England, I started out as a competitive ice skater and began dancing to help my skating. As the younger sister of someone with Autism and learning disabilities, I became aware of the benefits of dance from an early age. Music and movement were a fantastic way, for my brother and me to connect and for him to communicate, manage his anxiety, develop coordination and to just feel free. As an adult, I began working with people with learning disabilities and continued to see the benefits of dance, as well as recognize hidden talent. 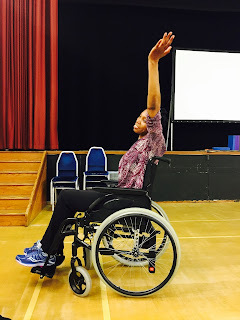 I became involved in various advocacy activities to support disabled people to have a voice and to have the same opportunities to participate in society, as everyone else. I continued to dance socially throughout my adult life, developing a love of Latin and Ballroom dance. In 2012, I performed in the Opening Ceremony of the London Olympic Games which was an amazing experience that drew a diverse community together in celebration. In 2013, I became a Board Member of the English Federation for Disability Sport and in 2016, a Patron for a wheelchair dance charity. 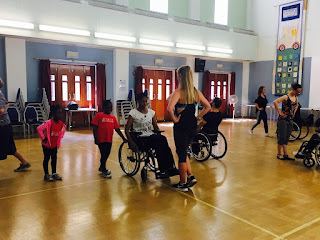 Both roles reaffirmed my commitment to improving opportunities for disabled people to be active, included and to be able to dance, compete and perform alongside their non-disabled peers. I also began performing at community and charity events and saw how much people enjoyed dancing or wanted to dance but had few opportunities to do so. The turning point came when I enabled two ladies with disabilities, to realize their dream to dance by performing at a black-tie ball and I knew this needed to be the norm not the exception. Following 20 years of working in social policy and in the care sector, I established London's first ever inclusive Latin and Ballroom dance company, Step Change Studios for all ages, abilities and needs. Established out of a passion and commitment, I want to create opportunities for everyone to be able to dance and gain all the benefits that dance has to offer. I have found it especially powerful, in enabling social interaction and developing social skills, confidence, leadership & initiative, creative expression, and supporting mental health and well-being. Step Change Studios has had wonderful support from the media, disability, arts and sports sector. 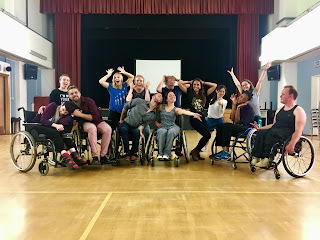 One thing that I have found heartening, is the generosity and support from fellow dance practitioners and dance companies who have shared advice and collaborated to support me, in setting up Step Change Studios and delivering inclusive dance. That spirit of collaboration is so important in achieving wider ambitions of developing and grounding inclusive arts into 'mainstream' practice. I do think Ballroom dance is far behind other dance genres, in this respect. I want to see more ballroom dance schools actively engaging with people of all abilities to participate. Step Change Studios has been involved in some creative projects. 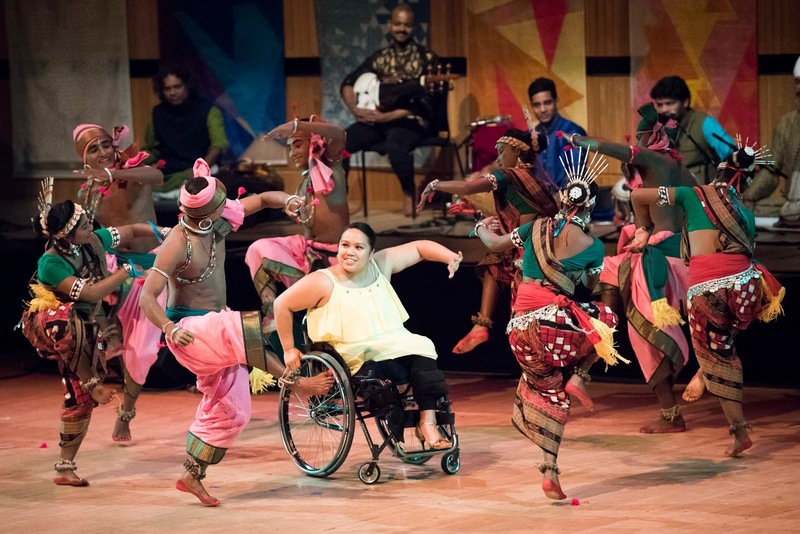 In fact, we were recently featured on the BBC, presenting the only inclusive, wheelchair dance piece at the renowned Royal Festival Hall, amongst a dance gala of 150 artists in London. (See video on Facebook). We are thrilled to soon start a major project in Wales, providing opportunities for wheelchair users to perform in a “Dancing with the Stars” style event, where they will prepare a dance routine with a professional, to perform in regional then finals event, in the capital. We are also working towards presenting the UK's first ever professional inclusive Ballroom dance showcase, in partnership with an internationally renowned performing arts space in London next year! 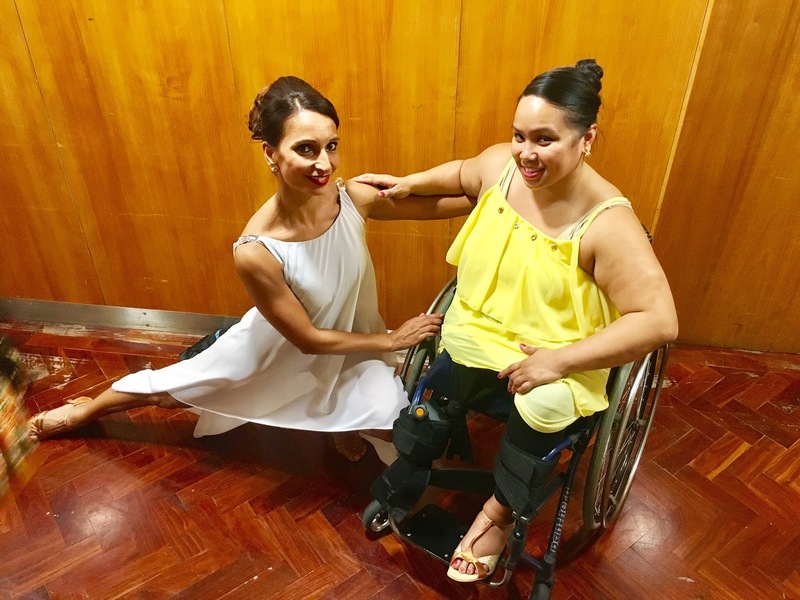 We are most excited when we hear the personal stories, like Adrienne Amorer’s below, that drives us to create an inclusive environment both on the dance floor and off! In 2001, having left an evening of salsa dancing early, I was reminded that something was wrong. A guy that I’d danced with on numerous occasions and actually got on very well with, told me that I’d had too much to drink and ended our dance before the song finished. I wasn’t really a drinker and I’d only had water that evening. I decided to call it a night and limped to my car. Sitting in the driver’s seat, I realized that I couldn’t drive as I couldn’t feel my right leg properly, or come to think of it, my right arm. This had happened before and everyone thought it was Carpal Tunnel Syndrome because I worked on a computer every day. Having numbness down one side of my body, resulted in an urgent referral to a neurologist. The night before picking up my results, I did a Google search of my symptoms. I’d never heard of Multiple Sclerosis but the neurologist agreed with Google and said it was a possibility.I needed to live life while I could. I continued dancing and traveled, as much as possible. Fast forward to 2004, I woke up one morning unable to see properly out of one eye. I had Optic Neuritis and could finally get a diagnosis of MS. Fortunately my sight returned after 6 weeks and I continued to dance when I could. Salsa in Zurich, Valencia, New York, Cancun – wherever there was a salsa club. Regular classes kept me mobile and feeling positive. I really loved dancing! I was paralyzed from chest down and had to learn to do everything again; who knew making a cup of tea was so difficult? By the time I left the Neurological Rehab Unit, fortunately most of the paralysis had subsided; I was walking with an elbow crutch and using a wheelchair for longer distances. A stress fracture in my right foot, due to the way I now walk, pushed my return to dancing even further away. Even though the fracture finally healed after more than a year, I’m still in pain and can’t stand for long. 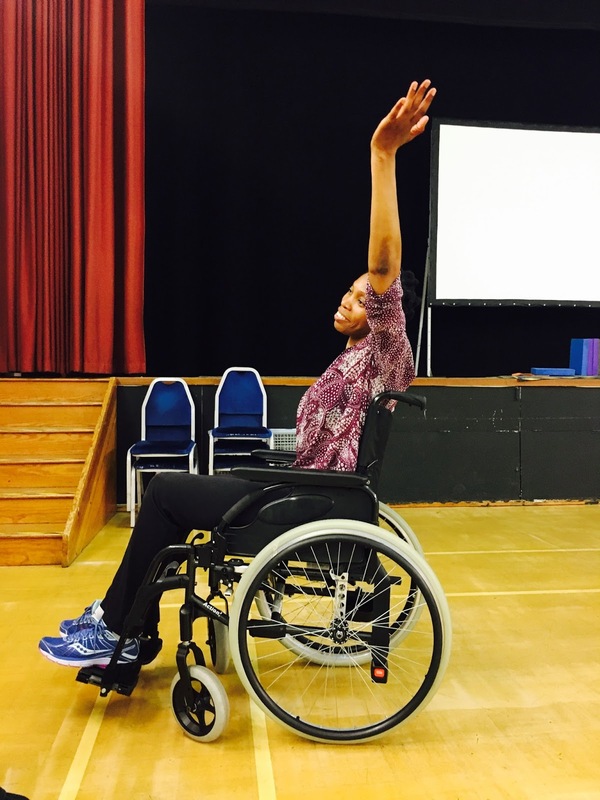 When I received the Lewisham MS Society newsletter detailing Step Change Studios and their upcoming classes, I was over the moon! All I needed to do was sort out childcare and I was good to go. But who else was going to come with me? I have 3 friends with MS who use wheelchairs: one was busy, one had had a fall so wasn’t up to it, the other didn’t reply to my message. Could I go on my own? I’d voluntary work in Kenya and Ghana on my own in 2007, surely I could do this. Couldn’t I? I hadn’t been able to sort out childcare and so I decided to bring my 7 year old, her cousin who was playing at our home and her mother, my niece, with me. Wow – a 50:50 mix of wheelchair dancers and those without. Cool! A little warm-up and then we were off. I’m not a regular wheelchair user and get fatigued quite easily, so I was worried that I wouldn’t be able to keep up. It was fine. Nuno and Rashmi are on hand to help and answer any questions. I also needed to ask one of the other wheelchair dancers how he was managing to turn his chair using just one hand. The hour flew by. What a great afternoon! We left on a high. The all-inclusive dance class that Step Change Studios is running is perfect. It’s good exercise, great fun, a lovely way to socialize and most importantly, I’m back on the dance floor! You don’t need any previous experience – even my 7 year old now loves to spin me around in my wheelchair, having watched the last 2 classes.